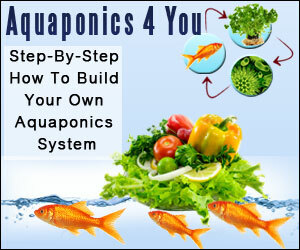 There are several steps one should follow when starting their own organic garden. It is time to start analyzing your yard. 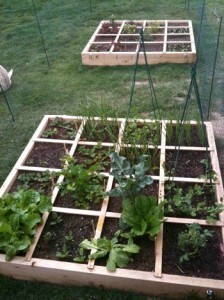 Where is the best place to put your garden? There are several things you want to remember when picking your site. It is important that it is in a convenient place, the closer to the house the better. Many people plant their gardens far from their house, and far from the water supply. It is much easier to maintain your garden if it is right outside your house and really close to a water supply. You need a space that gets at least 6-8 hours of sun a day and has good drainage. You don’t want to put your garden in a spot that has standing water after it rains. Observe your site for several days and note how much sun it gets, and if it is morning sun, or the hot afternoon sun? Decide how big you want your garden and keep in mind, bigger is not alway better. It is important to start small. A lot can be grown in small spaces. 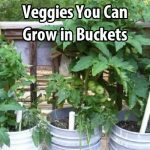 Many people become overwhelmed because they under estimate how much they can grow in such a small space. I prefer to use raised beds. 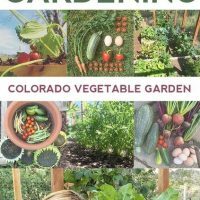 Initially it might cost a little more, but it is well worth it because you create your own nutrient enriched soil that will last for many years. 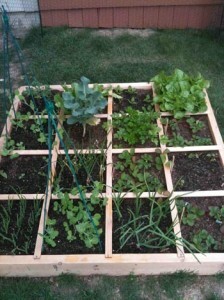 It is often easier to visualize your small space by adding grids to your raised beds. 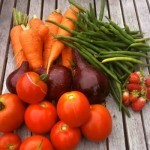 I started with 2 4×4 raised beds, and we had plenty of food to eat throughout the whole season. It is important to remember to leave enough space around all of the beds. 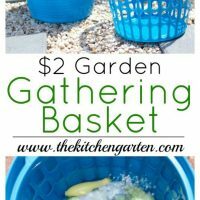 This is important because you need ample space to work in your garden. 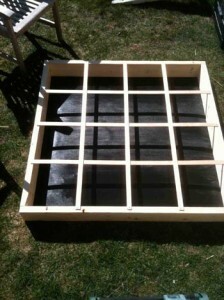 You should be able to reach every square in your garden easily. 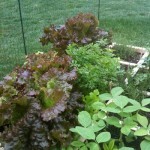 You don’t have to do raised beds to have success. 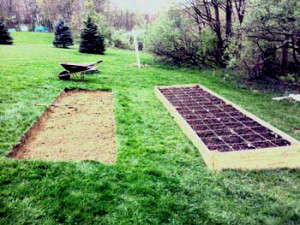 In the next photo their is one raised bed as well as a traditional, in the ground garden. With this method you can use existing soil and amend it with compost. Again, try to visualize the squares. 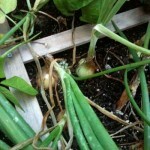 I will show you later how to grow in square foot sections. 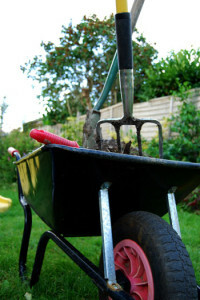 Now that you have your site, It is time to create some really good soil. The key to great soil is good compost. 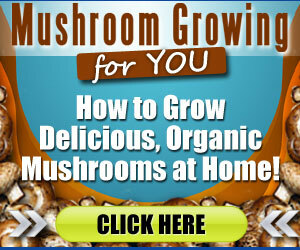 Since you most likely are just starting out, you haven’t had a chance to start your own compost. You can find organic compost at any fine garden center. You can either purchase bags of compost or if you are filling or amending a large space, you can order it in bulk and have it delivered to your house. Always keep in mind, once you create your soil, never walk on it. Roots like to grow in loose soil, not compacted soil. Now it is time for the fun part, picking out what you want to grow. You want to consider several things when doing this. 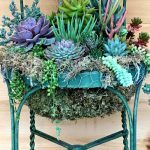 First, will the plant grow in your climate and do you have a long enough growing season to grow it? Next you want to be sure you are buying non gmo (genetically modified organisms) organic seeds/plants. I like to purchase my seeds from here. Only purchase what you need. There are a lot of seeds in a packet. To save money, you might want to share your seeds with a friend and split the cost. When picking out plants be sure you pick healthy plants. Look for signs of insects, or disease problems. Look at the roots and make sure they look strong and not weak. 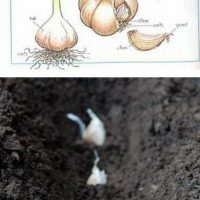 If you want, you can get a early start by growing your own plants from seeds. You will need the following items to start. I like to buy a plant tray that includes a heating mat on the bottom, which helps the seeds to germinate. 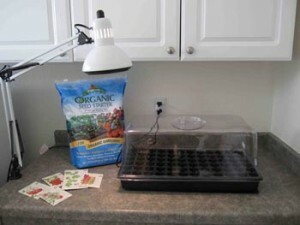 You will also need good light, organic seed starting soil and your organic seeds. Follow the directions on your soil bag and you will have plants in no time. Now it’s time to get your hands dirty. The first thing we need to do it rethink this whole gardening concept. In the past we have planted row gardens, and we plant all the seeds at once, and harvest everything at once. 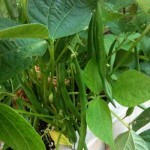 So if we plant an entire row of beans at the same time, they all ripen at the same time. I don’t know about you, but that is quite a bit of beans to eat in such a short period of time. When you look at your space, it is important to see them in square foot segments. 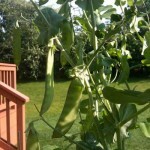 Did you know you can plant 9 bean plants in one square foot? Even Better, you can stagger your harvest. So lets say you plant one square foot of beans and then in 2 weeks you plant another square foot of beans. By doing this your beans will not ripen all at the same time and you can continue to enjoy beans throughout the season and not all at once. Sounds pretty smart to me. So lets look at this picture in detail. I have some sweet onions, sugar snap peas, red onions, strawberries, bush beans, parsley, Roma tomato plant, broccoli, Romain lettuce, butter crunch lettuce, carrots and spinach all in a 4’x4’ space. Look at these as they mature. Pretty impressive isn’t it? 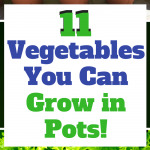 Also keep in mind that a lot can be grown in containers. 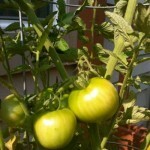 Herbs do very well in containers and so do tomatoes. 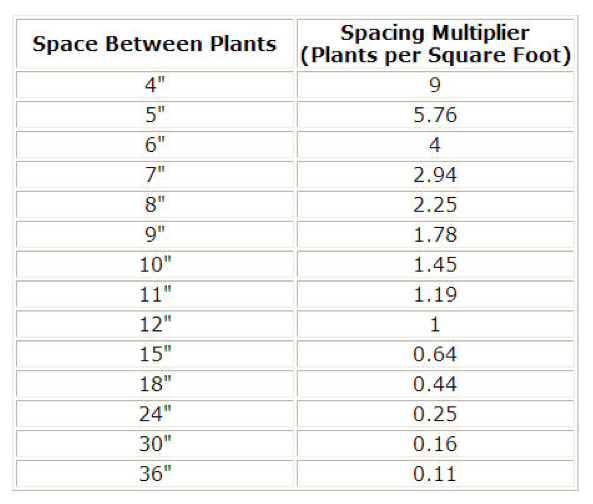 “thin to” 3” you would plant 16 plants per square foot and if it says “thin to” 2” then you would plant 36 plants in your square foot. 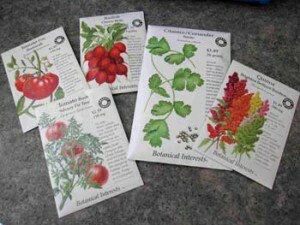 The back of the seed packet will also tell you how many days it will takes until your seeds are ready for harvest. The final step is a very important step. 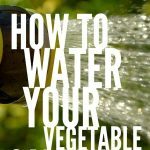 The best way you can water your plants is the way nature intended, rain! By installing rain barrels, you not only are nourishing your plants the way they were intended to be nourished, but you are saving money in the process by not having to pay for your water. 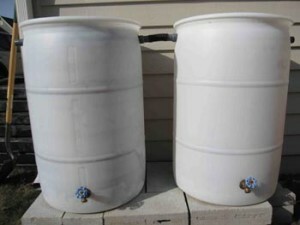 You can get a rain barrel for a very reasonable price through your city. 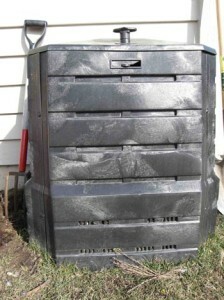 Finally you want to start a compost pile or bin. This is much easier then you think. Did you know that you can recycle a number of things that will turn into beautiful, dark, rich soil? To list a few: old leaves, dried grass clippings, fruit and vegetables scraps, news papers (shredded), lint from your dryer, vacuum lint, old plants, weeds, egg shells, tea and coffee grounds to name a few. Who knew that all of this could be recycled into rich soil? The key to composting is turning it. If you turn it with a pitch fork everyday, you can have compost in several months. 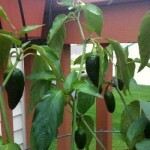 This will become your fertilizer for your garden. So there you have it. 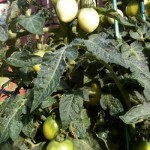 Gardening is so enjoyable and is very easy to do. Happy Gardening!